What is the meaning of free will? How do we know that God knows the future? What happens when we die? 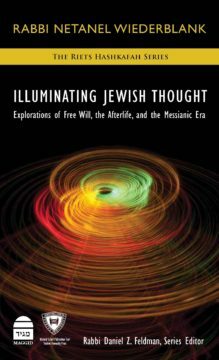 In a new three-part book series, Illuminating Jewish Faith, Rabbi Netanel Wiederblank, maggid shiur at Yeshiva University and rabbi of the Yeshiva Community Shul (Shenk Shul), tackles these and other fundamental discussions in religion through the prism of Jewish thought. These books, published by Maggid Books, will be the latest in the Rabbi Isaac Elchanan Theological Seminary (RIETS) haskhafa series and surveys the theological foundations of Judaism. 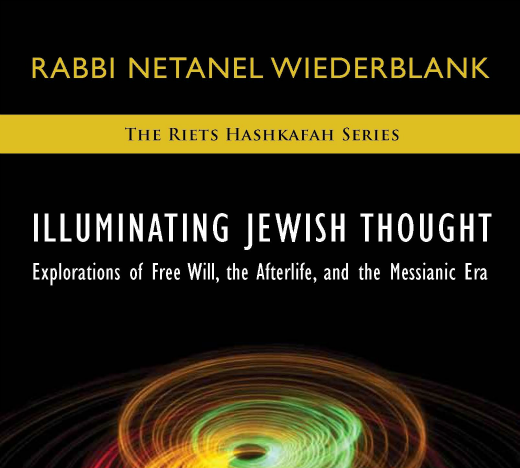 In the first volume, Rabbi Wiederblank shows the richness of the Jewish scholastic tradition relating to three fundamental topics: free will, the afterlife and the messianic era. Primary sources are presented in their original language with modern English translation, enabling readers to analyze the texts independently, while Rabbi Wiederblank illuminates and contextualizes these complex concepts. Altogether, Illuminating Jewish Thought reveals the bedrock on which lies the nexus of Jewish belief and practice. With the approach and scope of a master educator for undergraduate and rabbinical students, Rabbi Wiederblank brings together a wide array of Jewish texts ranging from philosophical to Kabbalistic, ancient to modern, in a clear and accessible sourcebook.